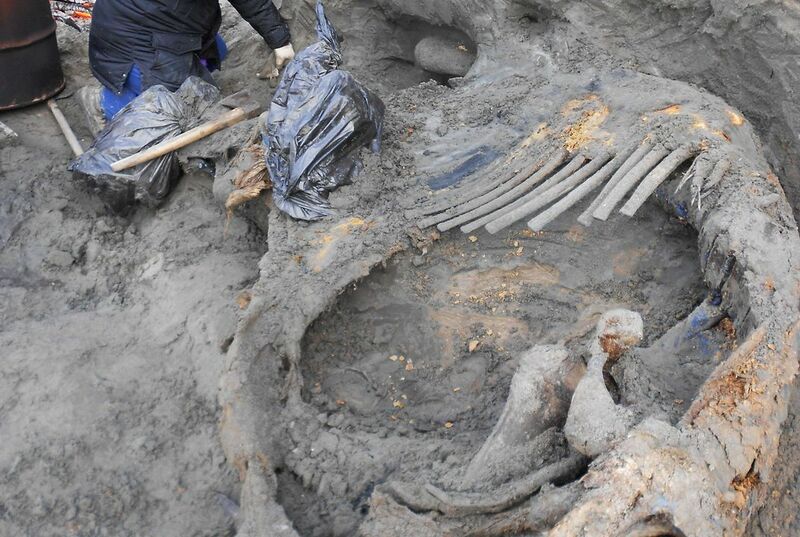 The remains of a mammoth that was hunted down about 45,000 years ago have been found. They revealed the earliest known evidence of humans in the Arctic. The bones were found in far northern Russia. Marks on them indicate the creature was hunted. The tip of a tusk was damaged. It suggests human activity. That was perhaps to make ivory tools. The minimal age estimate of the bones is 45,000 years. The discovery extends the record of human presence in the Arctic by at least about 5,000 years. The site of the find is in Siberia. It is near the Kara Sea. The site is also by far the northernmost sign of human presence in Eurasia before 40,000 years ago. This is according to Vladimir Pitulko. He works for the Russian Academy of Science in St. Petersburg. Pitulko and co-authors reported the discovery in a paper released by the journal Science. They also briefly report evidence of human hunting at about the same time from a wolf bone found well to the east. That suggests a widespread occupation. But the population was probably sparse, they said. 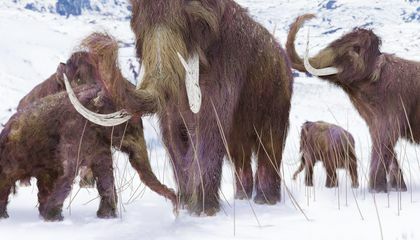 Daniel Fisher is a mammoth expert at the University of Michigan. He did not participate in the study. He said the markings on the mammoth bone strongly indicate human hunting. And, it makes sense to conclude that the hunters were from our own species rather than Neanderthals. That was an email comment from John Hoffecker of the University of Colorado at Boulder. Robert Park is an archaeologist at the University of Waterloo. It is in Canada. He has studied the bones of hunted animals in the far north. Park called the evidence for human hunting "pretty marginal." The beast had been found with remains of its fat hump. Hunters would be expected to take the fat for food and fuel, he said. And the skeleton shows far less butchering than one would expect, he said. Park emphasized he's not ruling out the idea that the mammoth was hunted. If people were living this far north that long ago, he said, it implies they had not only the technical abilities to carry out mammoth hunts, but also a social organization. It would have been complex enough to share the food from the relatively rare kills. How do the mammoth bones show evidence of prehistoric humans in Arctic? Thats really cool. How many mamoths do you think we found? Mammoth bones can show evidence for example say they hit a bone with there knife it would show There are little scars on the bone from the humans weapon show something has been there.